I had a chance to attend The Wolverine Fan Event last night which included an early screening of the movie. As part of the Fan Event, Hugh Jackman made an appearance and answered a couple of fans' questions. At the end of the Q&A, he mentions how this is the ultimate Wolverine film, and this is the film where you get to see him really unleashed. The setting of the film is mostly in Japan, as we see a flashback in the beginning of Wolverine locked up in a well as part of a Japanese prison during World War II right before the bombing of Nagasaki. A soldier named Yashida frees the prisoners including Wolverine knowing well of the impending bombing, of which Wolverine saves his life. During the movie we see a lot of flashbacks to this moment as Yashida is pivotal to the story. Fast forward to the present, this story takes place just after X-Men The Last Stand which is important to this story in the state of Logan. He tries to isolate himself by living in the wilderness, but plays hero again with some ruffians in the local town. That's when he's summoned to Japan by a dying Yashida. The beginning of the film and actually most of the film is very slow paced. I would have to say that this is my only gripe with the film. Though it may seemed long at times, the lulls all served a purpose in developing the characters around Wolverine and added to the story. With the movie set in Japan, most of the actors were Asian, aside from Hugh Jackman as Wolverine and Svetlana Khodchenkova as Viper. All of them did an astounding job in their roles. I especially enjoyed the two female leads of Tao Okamoto as Mariko Yashida and Rila Fukushima as Yukio. The action scenes were very good. 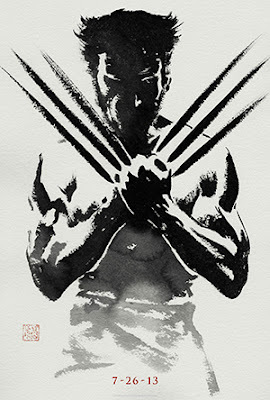 From the fight scene aboard the moving bullet train to the black ninjas defending the Yashida clan against Wolverine to Wolverine's final fight. All beautifully choreographed and insanely intense. Hugh Jackman in his Q&A mentions his fight scene with Hiroyuki Sanada as Shingen Yashida as his favorite in the movie. Overall, I enjoyed this film and would recommend it to everyone. I thought despite its slow pace, it was well done in all aspects. I've read a lot of Wolverine comic books in the past but never got into the books that told of his days in Japan. I thought the story was interesting and developed well as it unfolded. The Silver Samurai was different from what I expected, from what I know of the character in the comic books. Be sure to stay after the credits for a prelud to the next X-Men film Days of Future Past.